Want to know about the NYSTCE Safety Net? Think that your NYSTCE Safety Net tests should only cover areas like your math, verbal and writing skills? Sure, that run-of-the-mill NYSTCE Safety Net study guide and set of NYSTCE practice test questions might have led you to believe that’s all you need to worry about. A few algebra equations here, a few essays there in your preparation for the NYSTCE, and boom – you’re practically handed your New York teacher certification. …the legal requirements of being a certified New York teacher. If you’re taking the Student’s With Disabilities, Multi-Subject and Sciences, Liberal Arts and Sciences, English Language Arts, Mathematics, Visual Arts or other Safety Net exams the following exam NYSTCE prep tips can help you pass. NYSTCE Safety Net – Why Are Legal Requirements Important To Getting A Passing Score? It might seem like you’ve just been thrown a curve ball out of left field. After all, plenty of practice tests and free books online don’t mention you must know a teacher’s legal requirements in the classroom. So why should it make such a big difference on your testing date? The answer’s surprisingly simple: it’s because the makers of the exam want to know that you have your students’ best interests at heart. It’s not just enough to dedicate your preparation for the NYSTCE exam in teaching methods to help students learn. You need to know what to do should any emergencies arise, or any unusual scenarios are encountered. It’s this kind of quick thinking that differentiates the good teachers from the great teachers. And it’s this kind of quick-thinking that the makers of this test want to see if you have. So now that you know how important this is to your NYSTCE exam preparation, let’s take a look at the legal requirements that will make the most frequent appearances on your New York State Teacher Certification Exam. You must know how to identify a learning disability. As a general rule, if you suspect that a child in your class has a learning disorder, then you must get permission from the parents before testing for that disorder. You’ll see plenty of questions on test questions about the Individuals with Disabilities Act (IDEA), so here’s the rundown: the IDEA requires that schools provide a satisfactory education to students with learning disabilities, and it also requires that New York teachers get the parents involved in mapping out educational goals. If a teacher uses the Internet during a classroom lesson, New York state law requires that software be installed to block access to any unsafe and inappropriate websites. Finally, New York state law mandates that teachers are legally allowed to remove a student from a classroom if that student is making it difficult for other individuals in the classroom to learn. 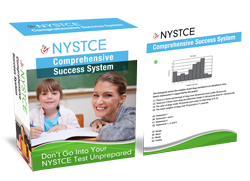 This is just a taste of the NYSTCE Safety Net practice exam material and test content knowledge that you need to succeed. So if you’re ready for the complete preparation for the NYSTCE Safety Net, get started now.